It is impossible to write a blog about Korean food without including something about rice. Rice is the center of the Korean meal and the pride of any Korean wife who can cook it well. Sadly, this was not the case for me. I thought that rice was an accessory, just another food to be decorated by butter, jam, or a really great sauce. I thought that as long as the rice was cooked, it was fine. I could not have been more wrong. It has taken me many years to realize that there are actually hundreds of different results when cooking rice. From crispy to mushy or sticky to fluffy, it is not easy to determine what your final product will be. To properly prepare rice, you must take into account the size of the rice grain, the age of the rice, the rice to water ratio, the cooking temperature, the pressure at which the rice cooks and the rice cooking vessel. All of these conditions contribute to the final product. Couple this with an individual's taste preferences and it is no wonder that a good cook is proud of her rice. Koreans primarily eat short or medium grain rice. This rice stickier than long grain rice but should not be confused with the "sticky rice" which has a very sticky texture and a much sweeter flavor. The sticky texture is what makes it possible to eat this rice with chopsticks. * Rinse the rice before cooking. This removes the extra starches on the rice and helps provide a slightly fluffier texture. * Soak the rice in water for at least 30 minutes and as long as 8 hours. This allows the rice to "bloom", or slowly take on water, before the cooking process begins. * Place a piece of , a hard dried form of seaweed, in your rice while it is cooking. This adds flavor and nutrition to your rice. Remove the seaweed before eating. * Cover your rice before turning on the cooking heat and do not open the cover again until the cooking has completely finished. By opening the lid, you are releasing valuable steam and pressure. * If cooking your rice on the stove, begin cooking on a medium-high heat. Once the water begins to boil, turn the water down to simmer on low until the rice is finished. * Once the rice finishes cooking, turn off the heat and allow the rice to rest, covered, for about 5 minutes before serving. I don't exactly know why this is important but it really does make a difference. * Before serving, gently scrape the upper levels of the rice and turn or stir them. This allows the rice to separte and appear more fluffy. Be careful, though, not to scoop to roughly or stir too much as this will turn your rice into a mushy dough. Knuckle Method: I began using this not-so-scientific method of cooking my rice years ago. It was taught to me by a friend whose mother taught it to him when he left for college. You place your rice in the rice cooking bowl. Cover the rice with water and gently rest your fingers flat on the top of the rice. The water should reach your knuckles when the ratio is correct. This method requires a lot of guessing and practice, given the numerous variables which effect quality rice cooking, before learnign to cook great rice. However, with time or in a pinch, this method really can work. Cup Method: Nowadays, many people are provided little cups when they buy their rice cookers. I have just recently started using this to cook my rice and I must admit, it has given me a more consistent result. You use the cup to measure your rice then fill the rice cooker with water until it reaches the premark number on the inside of the bowl. The number represents the amount of rice you used. It is important to note that you must use the cup which came with the rice cooker for this to work effectively. Measure Method: This method says that you measure your rice and your water using a 1.5 cup to 2 cup rice to water ratio. This is similar to the cup method but not one that I have had work particularly well for me. This month we are featuring Korean recipes as we compete for a trip to Korea with KoreaTaste.org. 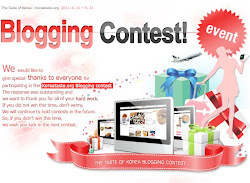 Please visit the AllergicAngel's Korean blog, vote for our posts and help the AllergicAngel go to Korea!. Most americans( at least among my family ) love to eat rice with butter. Buttered rice, which is not that seems appealing to me, was one way to eat the rice deliciously. When I was young and had vexation for having same rice every day with the basic side dishes, my mom mixed rice with butter and soy souce. So the ingredients are rice, butter, and soy souce.